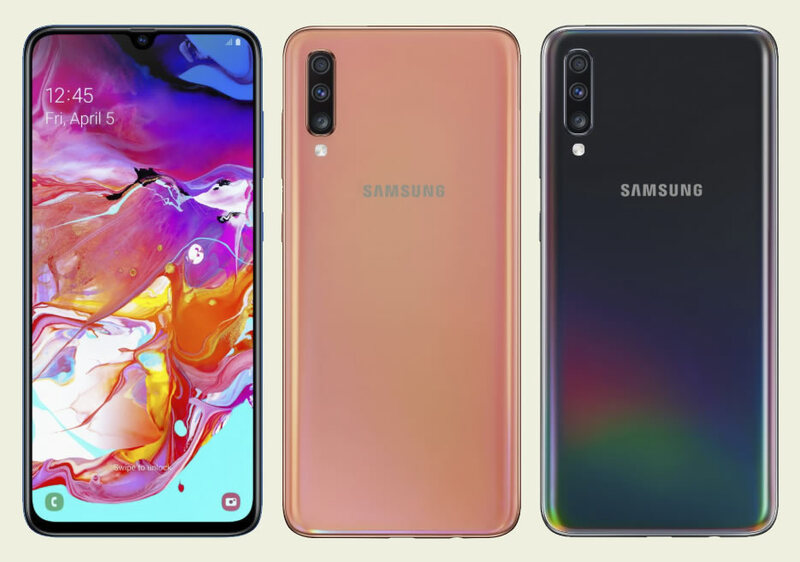 Just when we thought we’d seen it all for 2019’s best camera smartphones, Samsung has unveiled the Samsung Galaxy A70 that will see dominant players quiver hoping to be rescued by their friendly pricing, something the phone maker has struggled a lot with. A lot on this device feels premium but cuts some corners to keep a low-profile price tag compared to the company’s flagships. Remember those days when wearing contrasting cloths was seen as fashionable – popularly referred to as mix-and-match? The same could very well be attributed to this device; it caries a high-end 6.7inch super AMOLED display and an under the screen fingerprint sensor but slightly sways a way from the galaxy s10’s line-up with an infinity U notch camera instead of Samsung’s innovative hole punch camera. More than once i’ve been tempted to try out Samsung’s A series lineup which is already well represented but lack a proper alternative. For those who’d rather pay less for something relatable to the top tier line-up, Samsung Galaxy A70 comes in handy. smartphones have for a long time desired to have an immersive display panel – apparently this is what everyone wants, but implementing the same has not been easy. The Galaxy A70 achieves this by using a taller display that is slightly obstructed by a minimal notch at the top offering an impressive overall real-estate. One could easily argue that most of the technology underneath this handset has been used on it’s pricier siblings this year. Samsung Galaxy A70 is the senior most device within the series with an impressive camera setup that includes two 32Megapixels cameras – a selfie camera and a back camera alongside two back cameras. Its actually the biggest camera sensor yet, that we’ve seen on Samsung devices. I mostly love the 6.7inch Super AMOLED display at 1080 x 2400 pixels reproducing crisp images as well as sharp text. Under the hood, there’s a large 4,500 mAh battery driving that immersive display panel and can support 25W fast charging, technically becoming the first device from Samsung to support fast charging capability. This device got some impressive horse-power too, packing an 8-core processor, 6GB or 8GB of RAM (depending on the options and region), and 128GB of internal storage on top of a microSD slot that bumps it by 512GB. You’ll have both facial recognition and an in-screen fingerprint reader security options as well. Samsung opted for a taller display marketed as an infinity U-display rather than a wide screen on this handset which blends in well with a round notch that is home to a 32MP selfie camera. This device is available in Coral, Black, Blue and White colors. Samsung hasn’t revealed a price tag for this device yet, but we expect to fall within the mid-range genre and cost around Ksh 25,000 here in Kenya.